Find out all about the training and trade programs available to NCH 11th and 12th graders at our affiliated vocational school campuses, Diamond Oaks and Scarlet Oaks: Construction, Cosmetology, Early Childhood Education, Firefighting, Pre-Engineering-Robotics, Equine Science, LPN, Vet Assistant, Auto Mechanics, Masonry, Electricity, Dental Assisting, Health Technology, etc. Applications are due to the NCH Guidance Office in January for the following year. 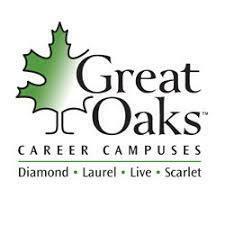 Great Oaks also offers separate programs for Adults - training that students can choose to take after graduating for job skills. Federal financial aid is accepted toward the cost of these programs.